Nordic governments have embraced a US offer to play a more supportive role in their efforts to deepen defense cooperation and strengthen the overall security in the key High North and Baltic Sea regions. The long-term benefits of a unified Nordic approach to defense were underlined by US officials when US President Barrack Obama hosted a landmark US-Nordic Leaders Summit at the White House last Friday. For Nordic governments, the immediate objective is to build a strong and shared defense structure that delivers a credible military counterweight, as well as a viable deterrent, against any possible future threats of aggression by Russia in the High North and Baltic Sea regions. 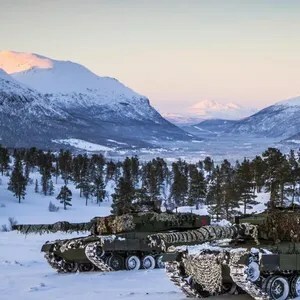 The Nordic states are examining strategic military-building proposals that include the establishment joint air-patrol units, joint naval tasks, shared intelligence and military infrastructure, and the formation of a modular-structured battalion-level rapid deployment force specialized in extreme climate operations. Regional and global security, along with trade, were the main issues on a wide-ranging agenda discussed between the US and the leaders of the five Nordic states in both round-table and one-on-one talks. “Security was a recurring subject in the talks, particularly the security situation in the Baltic Sea. I underlined the importance of having a good dialogue in relations with Russia,” said Finnish President Sauli Niinistö, who is the commander in chief of Finland’s armed forces. The White House summit adds a new positive dynamic to evolving military collaboration and collective defense strengthening among the Nordic countries, said Björn Lyrvall, Sweden’s ambassador to Washington. “The United States sees the Nordic countries as a part of the solution and not the problem. Nordic leaders were invited to offer their views on a wide range of matters, including security and defense issues. Nordic states have a broad common agenda with the US, ” Lyrvall said. 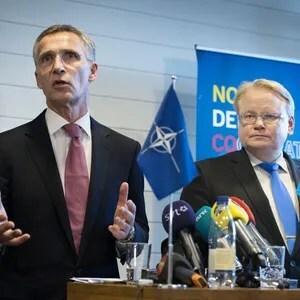 Some political leaders regard American support for a unified Nordic approach to regional security and defense as offering unaligned nations Finland and Sweden a “safer path” in to NATO. Finland should, against the backdrop of an increasingly unpredictable Russia, take steps to join NATO, said Alexander Stubb, Finland’s finance minister and leader of the National Coalition party. “The National Coalition is ready to take Finland into NATO. This would be a logical continuation of the post-war foreign and security policy of Finland,” Stubb said. Although Finland faces no direct security threats, the country must not allow itself to be lulled in to a false sense of security, Stubb said. “We must respond to change. To our east is an increasingly unpredictable Russia that seems to shy away from nothing in order to strengthen its position. In the south, the Baltics have joined the European Union and NATO. In the north, interest is growing in the Arctic region. To our west, and this is something Finland is unwilling to acknowledge, Sweden is on its way into NATO,” Stubb said. The National Coalition is one of the three ruling parties in Finland’s center-right government. Together with NATO-aligned Norway, Denmark and the Baltic states, any future inclusion of Sweden and Finland in the alliance would effectively create a mini-NATO in the Baltic Sea and Arctic High North regions. Russia is wholly opposed to either Finland or Sweden joining NATO. In particular, Moscow is hostile to having alliance forces on its doorstep. Finland has an 833 mile (1,340 kilometer) border with Russia. The US remains heavily invested in contributing to the continued security of the Arctic High North and Baltic Sea areas, said Norway’s prime minister Erna Solberg. “Our coastline and proximity to Russia in the north holds a great strategic importance. This has become more important now that we have a Russia with a stronger military capability and more unpredictable policies,” Solberg said. The collective defense affordability factor is never far from discussions between Nordic nations and their Baltic partners, said Erich Dietz, a political analyst based in The Hague. “If there is just one single message emanating from the US side in the Washington summit talks it is that the Nordic countries must not stand idly by. The US wants a strong and unified Nordic military and security front to offset Russia’s posturing and its military expansion in the High North and Baltic Sea,” Dietz said. Their gross domestic product combined, the Nordic countries represent the world’s 12th biggest economy. With just 0.3 percent of the world’s population, the region accounts for over 2 percent of global GDP. “The Nordic states are modern, politically stable and well-run planned economies. The message from Washington is that together they have the economic strength and resources to build a robust common regional defense in partnership with the US and NATO,” Dietz said. Concerning Moscow’s intervention in Ukraine and annexation of Crimea, all Nordic governments support US and European Union trade and other sanctions against Russia. Moreover, Nordic leaders not only want to see a higher US and NATO presence in the Arctic High North and in the Baltic Sea, but closer security-building and defense-strengthening interactions and collaboration with their militaries. Nordic governments favor a twin-track strategic approach to dealing with an expansionist Russia. On the one hand this comprises defense-deepening. Secondly, Nordic leaders support maintaining a constructive open dialogue with Moscow to enhance transparency and reduce the risk of a buildup of security and military tensions in the region. Be the first to comment on "US Supports Drive for Nordic Defense Cooperation"